An avalanche has killed three German skiers in the Austrian Alps and a fourth skier remains missing, police said Sunday. The bodies of the men, aged 57, 36 and 32, were recovered Saturday evening near Lech, a few hours after the wife of one of the skiers reported them missing. 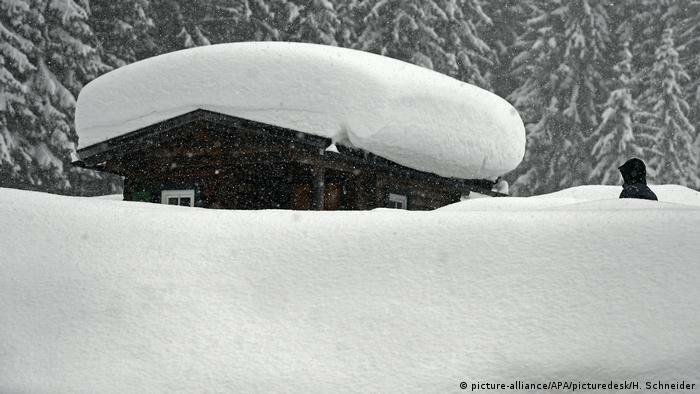 Police in Vorarlberg, Austria’s westernmost province, said they had to call off the search for another German, age 28, because of heavy snow and the risk of avalanches. The group of four had been on a closed ski route, German news agency DPA reported. The three dead were found around 11 p.m. local time and showed injuries and signs of suffocation, DPA reported police as saying. Police said the three were carrying emergency equipment with them but despite their deployed airbags they were buried. An avalanche commission will decide Monday morning whether rescuers return to search for the missing skier. The latest deaths bring the number of weather-related deaths reported in Europe to at least 24 this month. Southern Germany and the Austrian Alps have been hit hard by snow in recent days. 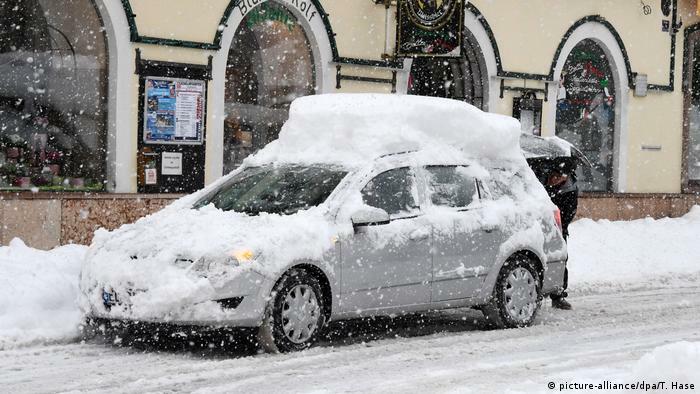 A break in the weather on Saturday was used to clear heavy loads of snow from roofs and roads before fresh avalanche warnings were announced. 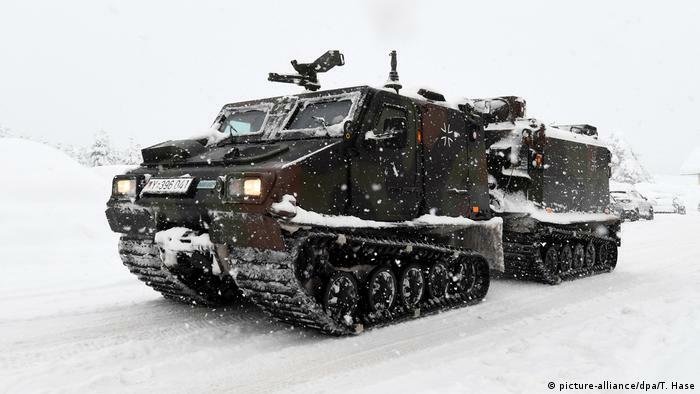 In Berchtesgaden, a town in the Bavarian Alps near the Austrian border, Germany’s armed forces — the Bundeswehr — had to deliver much-needed supplies in the middle of the night. The reason: the road to the village was cut off by the sheer amount of snow fall. As such, the military had the only transport vehicles able to reach the area. Local tram services were also in no state to run. For some, the snow kept them from home. 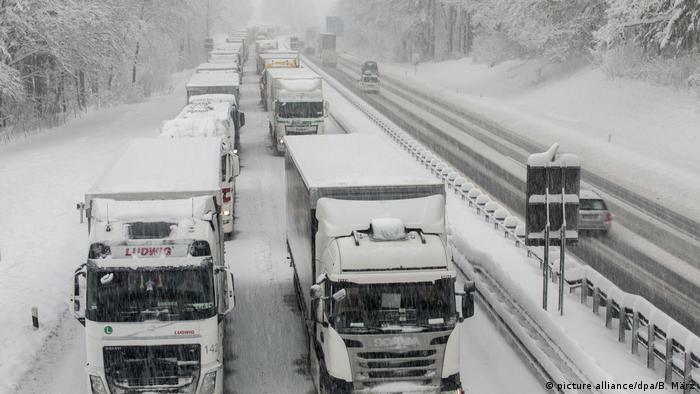 Hundreds of drivers had to sleep in their vehicles overnight after being trapped on the highway between Munich and Salzburg. 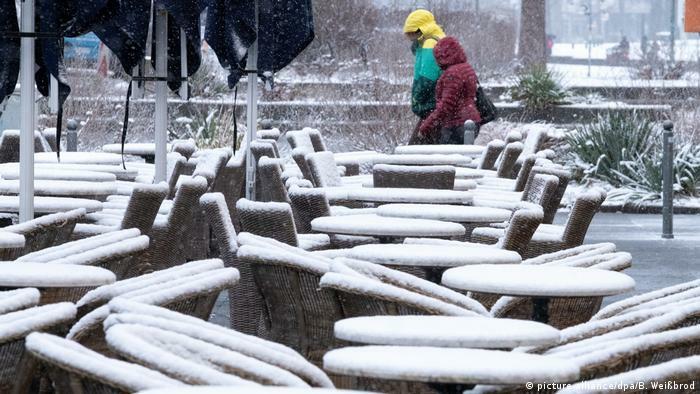 In an editorial, the conservative newspaper Frankfurter Allgemeine Zeitung (FAZ) said climate change may be a contributing factor to the “chaotic amounts of snow” and shows how quickly areas can be changed by its effects. A “Super Puma” helicopter was prepared for takeoff in a parking lot in Schönau am Königsee, a town in southeast Bavaria. The helicopters were used to blow snow from trees and onto roads to prevent trees and their branches from falling onto cars passing by. 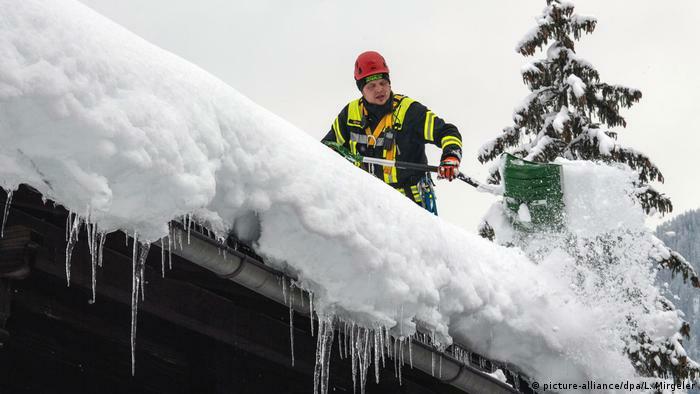 A fireman cleared off snow from a roof in the Berchtesgaden region of Bavaria near the Austrian border. 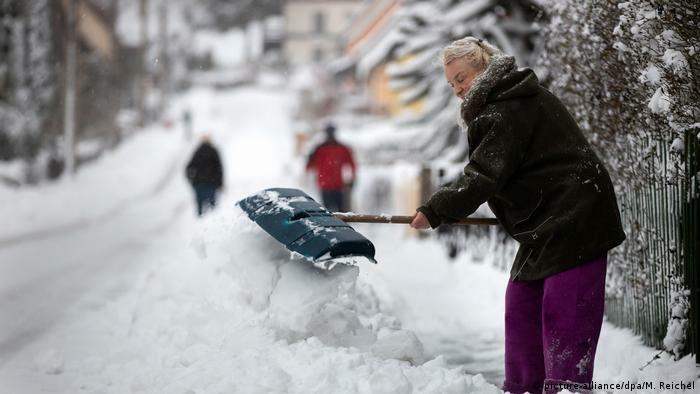 More than 1,000 emergency workers were dispatched to Upper Bavaria to deal with the snow. But Bavaria wasn’t the only place in Germany to be affected by the snowfall. North of Bavaria in the German state of Thuringia, park authorities warned people against entering forests, saying enormous snow loads threatened to bring down numerous trees. Several roads were also closed by deep snow and fallen trees. While not nearly as chaotic as Bavaria and Thuringia, the German state of Baden-Württemberg received plenty of snow too. In Stuttgart, buildings were covered by the white powder frost, while in some parts of the state, school children were allowed to take the day off. For days now, Austrian authorities have issued avalanche warnings for its Alpine slopes. At least eight people have been killed by weather-related incidents. In some cases, rescuers have had to save people stranded in cut-off areas. 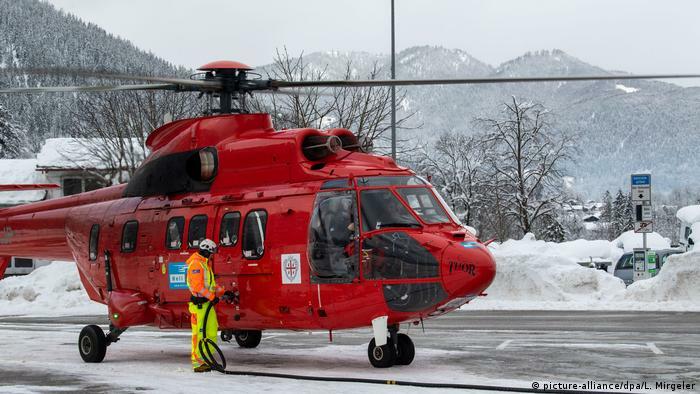 On Thursday, nine tourists from Russia, Ukraine, Poland and Hungary had to be rescued after venturing off-piste in the Zell am See resort area. While Germany and Austria have received a lot of extreme weather coverage, that doesn’t mean other parts of Europe were inundated by snowfall. 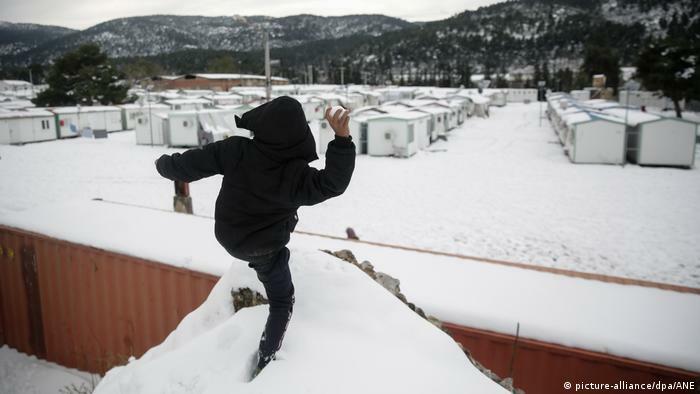 As far south as Greece, refugee children took it as an opportunity to enjoy the outdoors with a snowball or two. Switzerland, Slovenia, Italy and Turkey also received their share.